Phoenix, the French indie pop electro band, has received its first Grammy Award nomination for the album Wolfgang Amadeus Phoenix. The album is nominated in the Best Alternative Music Album category and running against It’s Blitz! by the Yeah Yeah Yeahs, Depeche Mode’s Sounds Of The Universe, David Byrne and Brian Eno (Everything That Happens Will Happen Today) and Death Cab For Cutie (The Open Door). In October the band got together to film these three stripped down video concerts with the French website La Blogotheque [link]. Part 1 with the song “1901” is below; part 2 with “Lizstomania” and “One Time Too Many,” is here, and part 3 with “Long Distance Call” is here. October 2009 can be seen as odd month for Black Americans. Two separate events (three if you count America’s Next Top Model’s hapa model shoot [link]) involving the act of blackface made national media headlines. To don blackface now is generally considered in poor taste to most Americans, but that doesn’t mean people in other countries have figured that out. 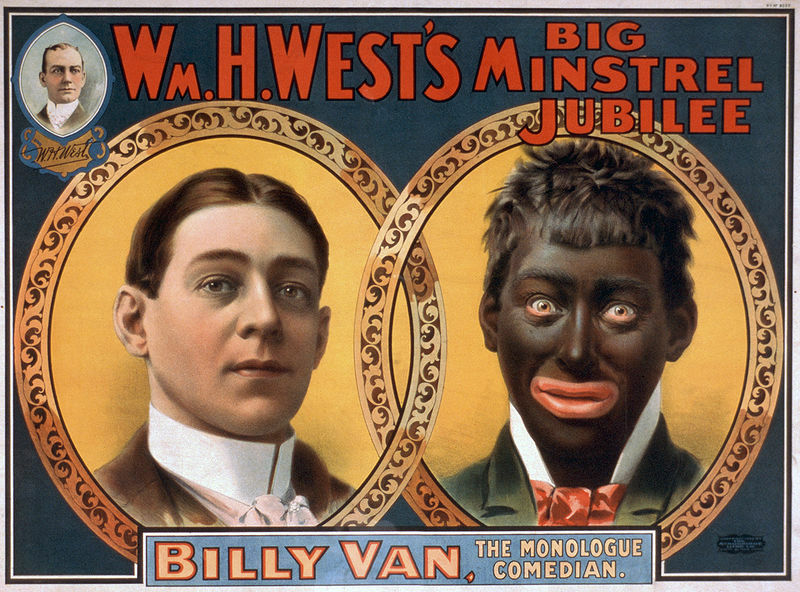 And in case you didn’t know, blackface is a theatrical act that was commonly used to portray Black Americans in an unflattering caricature that over-emphasized the darkness of our skin, the size of our lips, and the mannerisms of some in our culture when the practice of blackface first began. So what’s the difference between the Jackson Jive incident and the French Vogue incident? Context. Even though the Vogue model was painted in blackface, she was not “blackface.” She was not a black buffoon with overly exaggerated lips and skin as black as the midnight — another exaggeration, who was shucking and jiving like those people in the original blackface would have you believe that that is what “those people” [niggers, blacks, spooks, spear chuckers, porch monkeys] do. She was elegant; and she was so elegant, people wanted to know why French Vogue didn’t use a real black model in the shoot. However, the Jackson Jive was an image every black person has been working to distance themselves from since the invention of blackface. For example, in Japan, it’s still common to see some blackface on TV. (The coloring is done in context.) Also consider that with Barack Obama being the first person of color in the White House, there will be those who don the paint in order to imitate him (and Michelle). So what does this mean to the future of blackface? Well to use a turn of phrase that was also used in a movie that featured blackface: if you do go blackface, never go full blackface. And for an example of context, look at this video of a Japanese Stevie Wonder impressionist. Can you see how he is working in context? Well not really the final episode, although I’m sure some wished is was, but it is new. This season’s Curb Your Enthusiasm, the comedy show that stars Larry David, featured a plot line that had David, who is also a former writer, co-creator, and executive producer of Seinfeld, bring together the Seinfeld cast for a reunion in order to win back his wife. Friday Fail — Aussie Edition with Harry Connick Jr.